Forget botox or cosmetic surgery. A few facial exercises is all you may need to help prevent fine lines, wrinkles, and saggy facial skin. At least so says Yvette Le Blowitz, a.k.a Spa it Girl, a luxury spa travel reviewer/health-wellness-yoga-spiritual-blogger and founder of, you guessed it, Spa it Girl. She advocates for natural beauty and at the age of 38 (39 this year), we think she knows a thing or two about it. UWM chatted with Yvette to exclusively ask her about the "new trend" in eco-friendly grooming: Face Yoga. 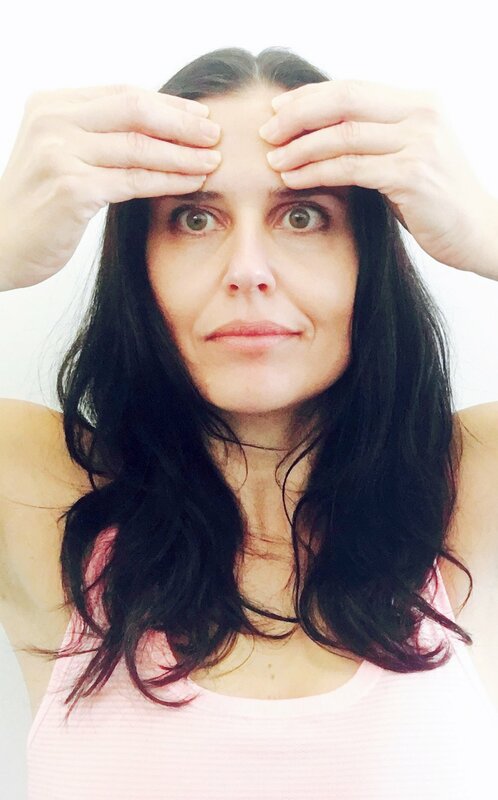 Face Yoga is the latest in anti-aging skincare, in particular, and celebrities like Jennifer Aniston and Gwyneth Paltrow are doing it. It is an all natural, anti-wrinkling routine for your facial features, and as the name suggests, it’s yoga, for your face. 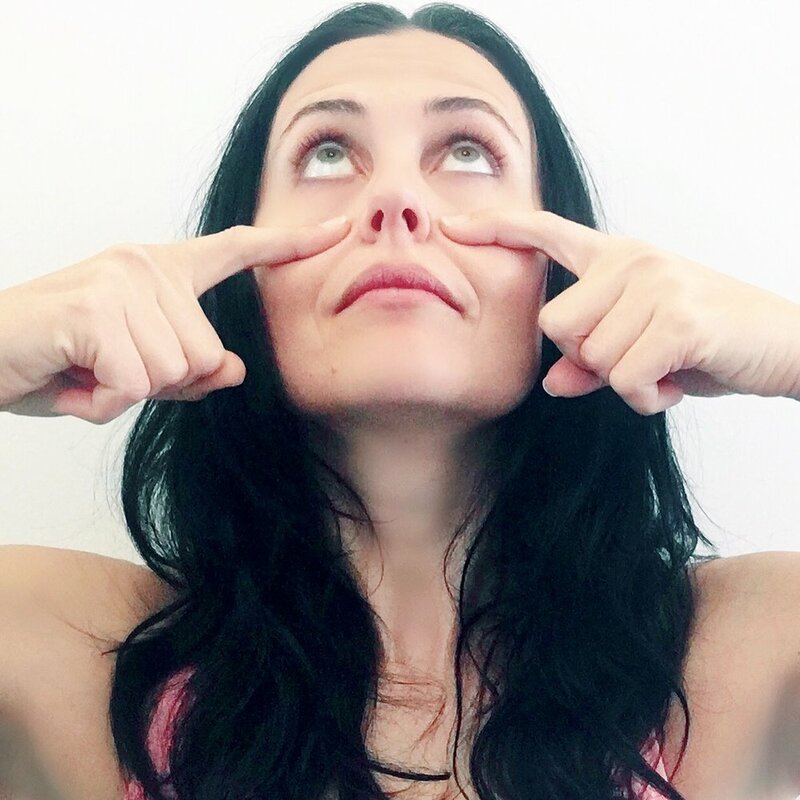 It's basically a mini workout for your cheeks, eyes, lips, and brows, and before too long you will even have your favorite Face Yoga pose. By doing and holding certain "poses," you can promote circulation and uplift and tone the muscles. But the best thing about it: you don’t have to go to all the way to the studio. 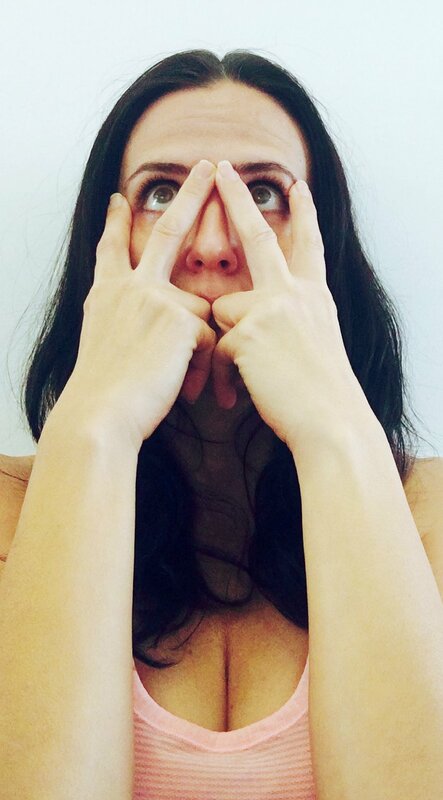 "I learned about Face Yoga from the UK's Face Yoga expert, Danielle Collins," Yvette explained. "When you first start practicing Face Yoga it might feel a bit weird, but once you learn the moves and do them a couple of times, you will get the hang of it and it will make you think twice about spending money on cosmetic surgery." Good For: Drooping eyelids, crow's feet, eye bags, and puffiness. Alternative To: Botox and eye surgery. Good For: Cheek lines and sagging skin. Alternative To: Lower face lift and fillers. Step 1: Hide the teeth with the lips to make an 'O' shape with the mouth. Good For: Horizontal forehead lines. Alternative To: Botox. Good For: Deep eye hollows and drooping eye brows. Alternative To: Eyebrow lift. Good For: Lines and loose skin on the neck. Alternative To: Neck lift and jowl lift. To Stay in Touch with Yvette Le Blowitz a.k.a Spa it Girl, visit: www.spaitgirl.com, Instagram: @Spaitgirl, Facebook: Spa it Girl, and YouTube: Yvette Le Blowitz.